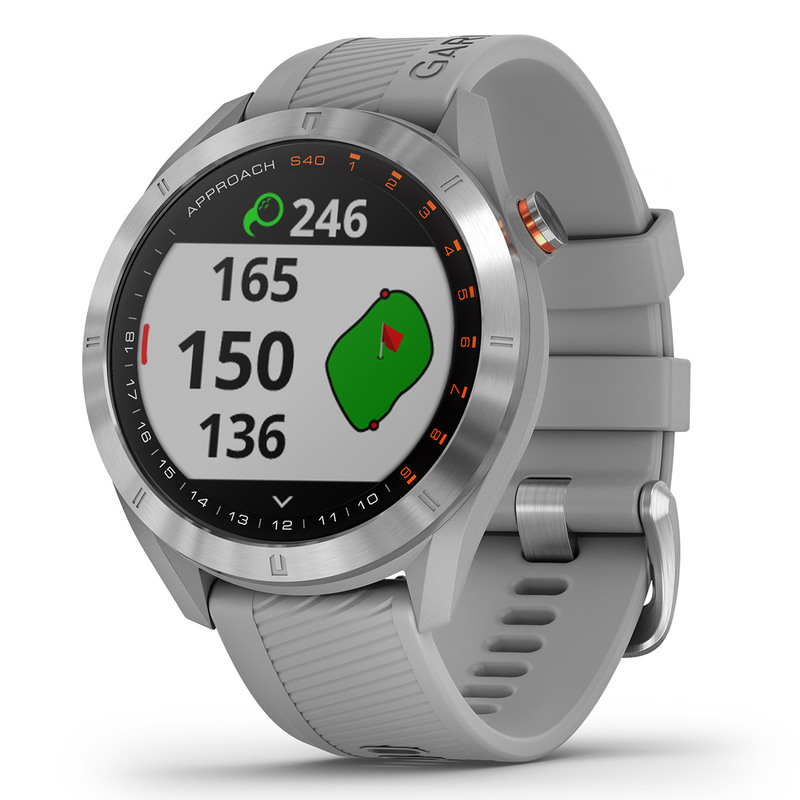 The Approach® S40 GPS golf smartwatch with its stylish stainless steel bezel, button and buckle design which looks the part on and off the golf course. 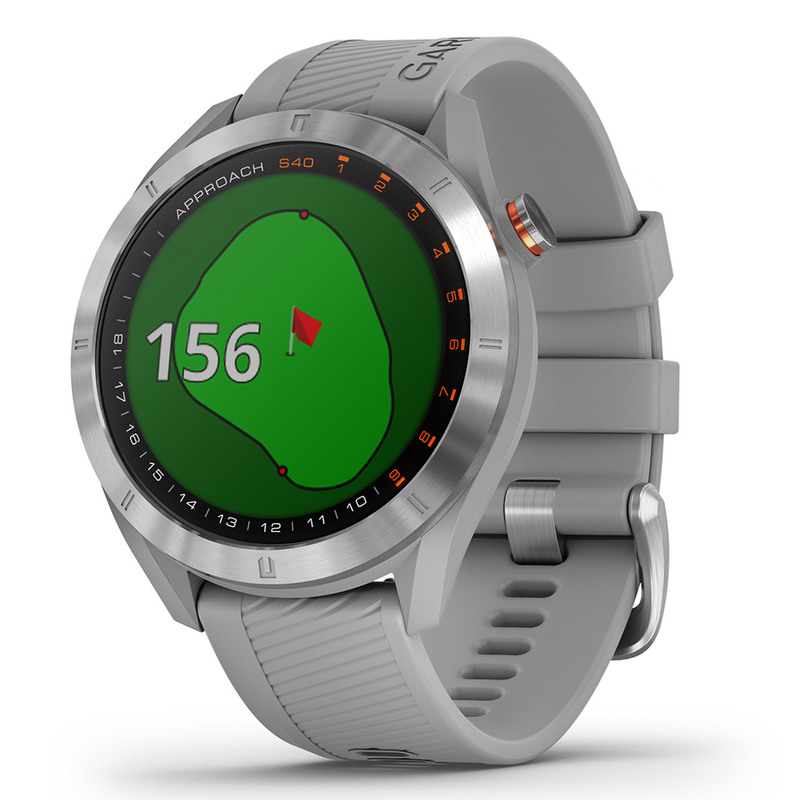 It provides all the key distances on the course to help make the right shot. It also tracks your activities away from the course to help you keep in shape. The display benefits from a colour display with higher-resolution so the device is sunlight-readable in high glare situations. The display is streamlined to present all relevant information right when you need it, you can record all of your shots thanks to the enhanced AutoShot game tracking. 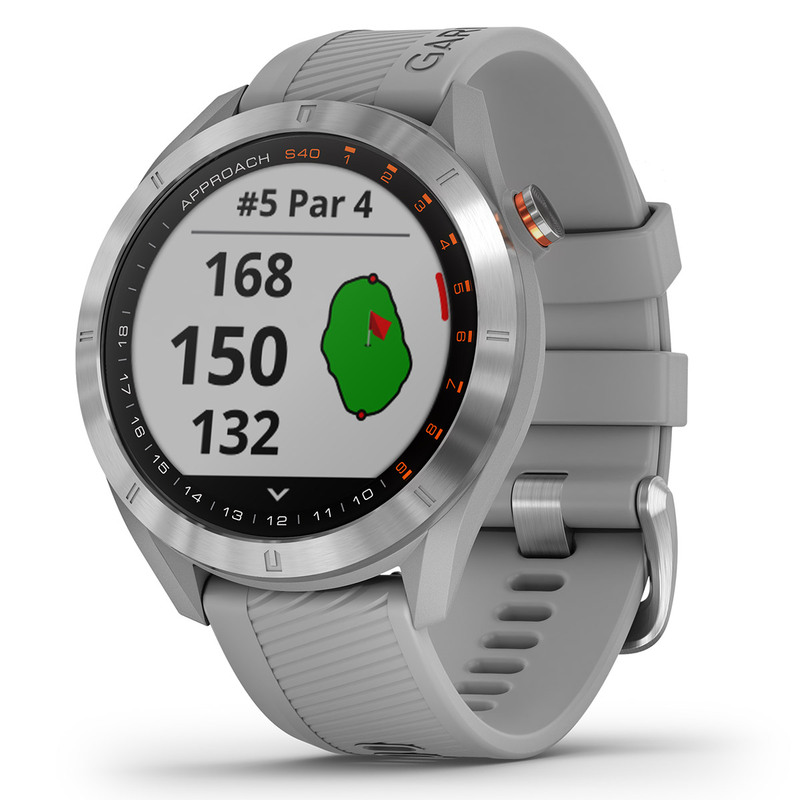 This automatically records each shot along the fairway and records distances for post-game analysis on Garmin Connect. The watch also has the capability to Auto Measure your shots. 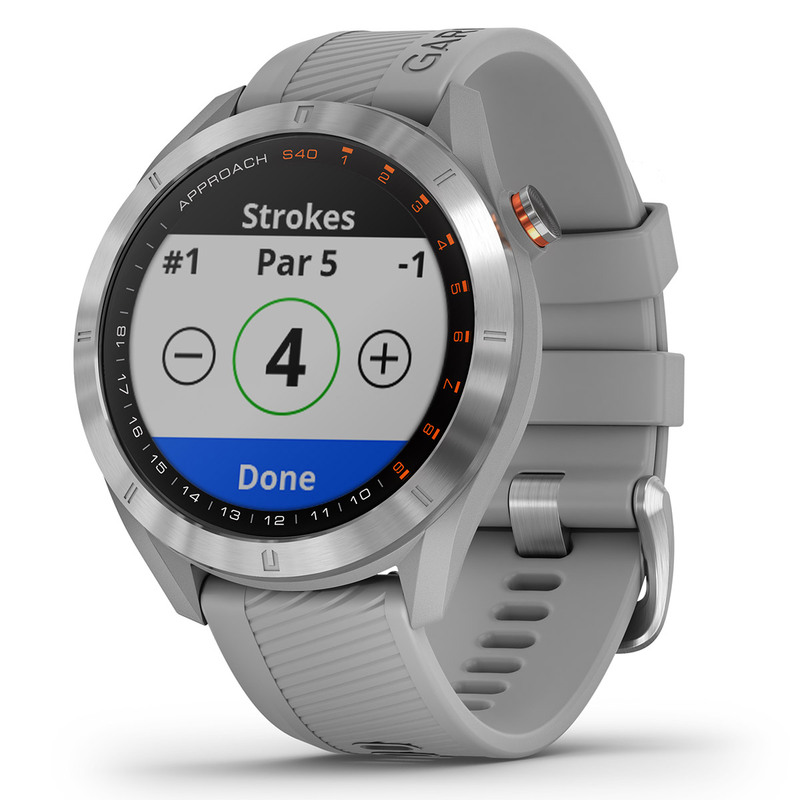 Another new feature is that this watch will automatically update golf courses that you play often when synced with Garmin Connect. This GPS watch helps you to keep your body in shape, counting steps and sleep, with dedicated modes for running and cycling. Smart Connected. 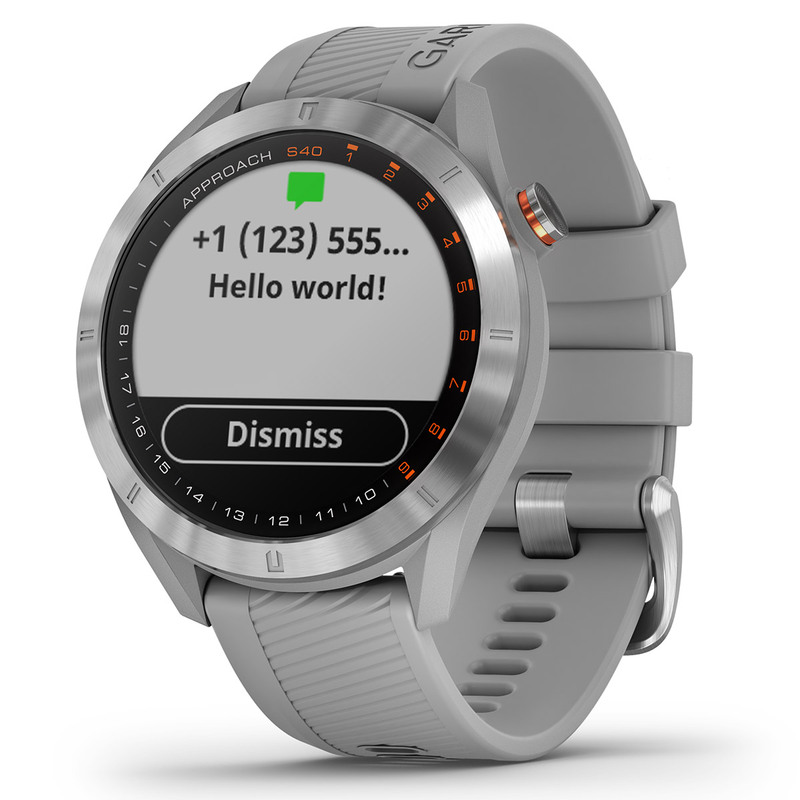 Sync this watch to your smartphone to get notifications, such as incoming calls, texts, etc. It also automatically updates data and stats to Garmin Connect. The rechargeable battery can last up to 15 hours in golfing mode and up to 10 days in watch mode.